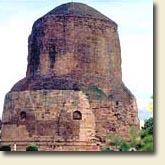 Royal Wheels India is an adventure travel group organising Buddha Tours Package In India. Arrive Delhi. Assistance and transfer to the hotel. Afternoon depart for sightseeing tour of Old Delhi visiting the Red Fort, Jama Masjid, Memorials to Nehru and Gandhi. Overnight. Morning sightseeing of New Delhi visiting the Qutab Minar, Humayuns Tomb, Parliament House, Birla Mandir etc. Afternoon at leisure. Overnight. Morning depart by air for Varanasi. On arrival check into the hotel. Afternoon visit the city. Return to the hotel for overnight stay. Morning early depart for a boat ride on the Holy River Ganges viewing the sunrise and the religions rites being performed on the River bank. Afternoon excursion to Sarnath, where Buddha preached his first sermon. Overnight. Morning depart by surface for Bodhgaya the place where Buddha attained enlightenment. On arrival check into the hotel. Afternoon sightseeing. Overnight. Morning depart by surface for Rajgir. On arrival sightseeing and lunch continuing on to Patna enroute visiting Nalanda, the ancient Buddhist centres for leaning. On arrival in Patna check into the hotel. Overnight. Morning depart by air for Calcutta. On arrival transfer to your hotel. Afternoon sightseeing of Calcutta city. Overnight. Morning depart by air for Bagdogra. On arrival proceed on to Darjeeling. On arrival check into the hotel. Rest of the day at leisure. Overnight. Morning depart for city tour visiting the Observatory Hill, Museum etc. Afternoon excursion to Ghoom Monastery, Overnight. Morning excursion to Tiger Hill to view the sunrise over the Kanchanjunga Mountains. Afternoon at leisure. Overnight. Morning depart for Kalimpong. On arrival check in the hotel. Afternoon, visit the town. Overnight. Morning depart for Gangtok. On arrival check into the hotel. Afternoon, visit the town. Overnight. Depart for full day visits of the Rumtek Monastery and the city. Return to the hotel for overnight. Morning depart by surface for Bagdogra continuing on to the airport for departure by air for Delhi. On arrival in Delhi transfer to the hotel. At leisure.